We all love a takeaway every now and again and there’s nothing wrong with the occasional treat. However ordering takeout whenever you don’t fancy cooking for yourself can be detrimental to your body and your wallet. Most people don’t need a lot of persuading when it comes to dialling a number, telling someone what you’d like for dinner and then getting settled in front of the television while you wait for them to deliver it to your front door. 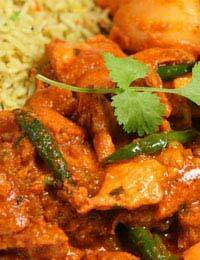 Ordering takeaway is an easy habit to get into and before you know it, you’ll abandon shopping trips completely and rely on the local Indian restaurant or chippy for most of your meals. It’s important to remember that a takeaway meal really is a treat and you should try to limit them. The same goes for ready meals – the convenience factor is a big pull but nothing beats fresh, home-cooked food and this should be the norm. If you really are addicted to those foil cartons or the smell of fresh fish and chips then at the very least you should try swapping some of your takeaways for home-cooked alternatives. They should contain less fat and salt than their moped-delivered counterparts and it really isn’t a big effort to switch on the oven and do a bit of chopping and cooking: you might even enjoy it! So, here’s our guide to some alternatives to your favourite takeaway meals. The smell, the taste, the massive carbohydrate hit – it all adds up to make the local chippy a popular stopover on the way home from college. However, it’s not really a healthy eating option if you’re making a regular habit of it, so how about trying out your own version? Peel and cut a couple of large potatoes into chip shapes and let them soak in a pan of water. Next, mix together some breadcrumbs and grated Parmesan in a bowl. Preheat the oven to medium, rinse the potatoes and par-boil for a couple of minutes. Drain the chips, drizzle with oil and place in a roasting tray. Place in the oven. Place a haddock or cod fillet in a small ovenproof dish and put in the oven after about 5 minutes. Cook the chips and fish for a further 20-25 minutes (depending on thickness and size of both). Sprinkle the fish with the breadcrumb mixture for the last 5 minutes of cooking time. Finely chop an onion and fry in a large pan, in 2 tsp oil. Cut a couple of chicken breasts into pieces and add to the pan. Cook until browning. Add about 1 tsp Thai red curry sauce (or according to taste), fry for 1 minute then add 1 can of reduced fat coconut milk. Allow to simmer for a few minutes then add a handful of halved French beans and simmer for a further 15-20 minutes, until the beans and chicken are cooked through and the sauce has reduced. Meanwhile, cook 1 cup of basmati rice, according to pack instructions. Serve with shop bought poppadoms and nann bread. This is fun and really easy to make yourself. You’ll find a whole article on homemade pizza on the site but, for a quick option, buy a couple of ready-made pizza bases and top with your favourite ingredients. They are cooked in minutes and you can choose the exact toppings you like. There’s nothing wrong with treating yourself to a takeaway every once in a while but if you think it’s becoming a regular habit maybe it’s time to create your own alternatives that aren’t quite so harsh on your waistline.